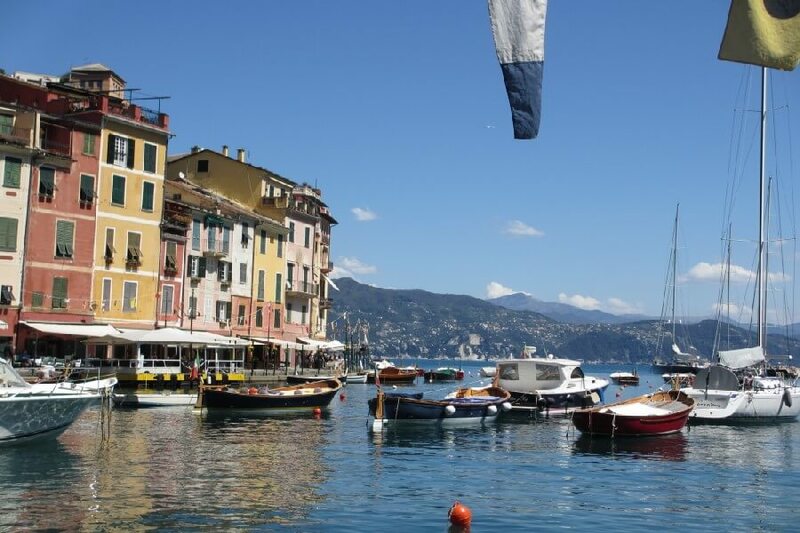 You are here: Home / Italy / Should you stay in Portofino or Cinque Terre? Hi Frugalistas! I love getting emails from readers. Especially when it’s an email that asks an interesting question. 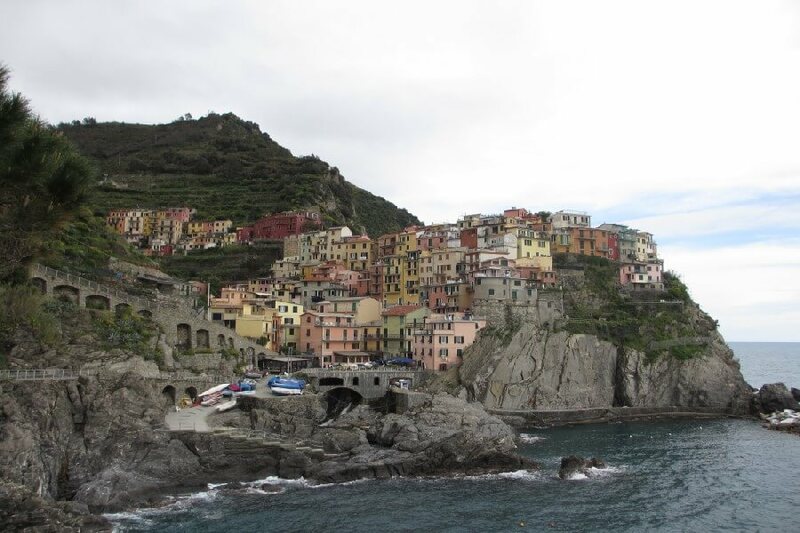 My Cinque Terre posts are quite old now, but are still very popular. My post on day tripping from the Cinque Terre to Portofino is particularly popular. 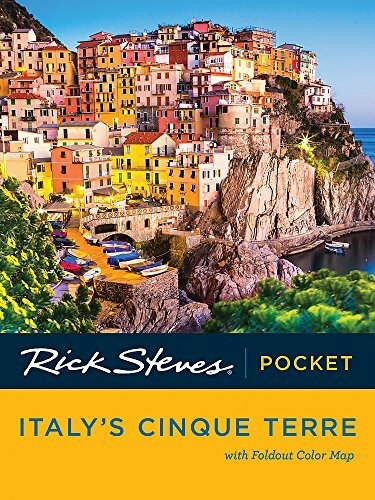 So when reader KS contacted me to ask about whether she should stay in Portofino or Cinque Terre, or somewhere else along the coast, it seemed a perfect opportunity to explore this question with all Frugalistas. Is Portofino worth visiting? I say yes, definitely! It depends on what you are after from your trip and what your budget is. 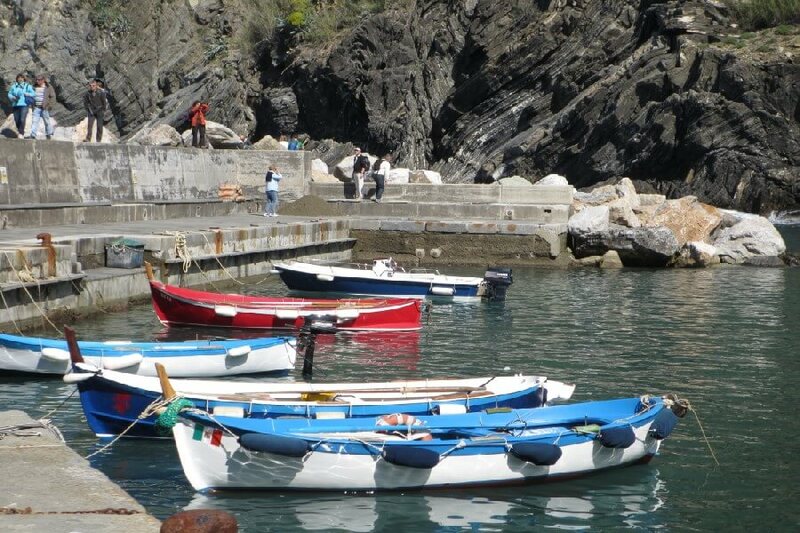 When I visited the area, my intention was definitely to visit the Cinque Terre. I wanted to wander authentic back lanes and vineyards. I wanted to admire ocean views. 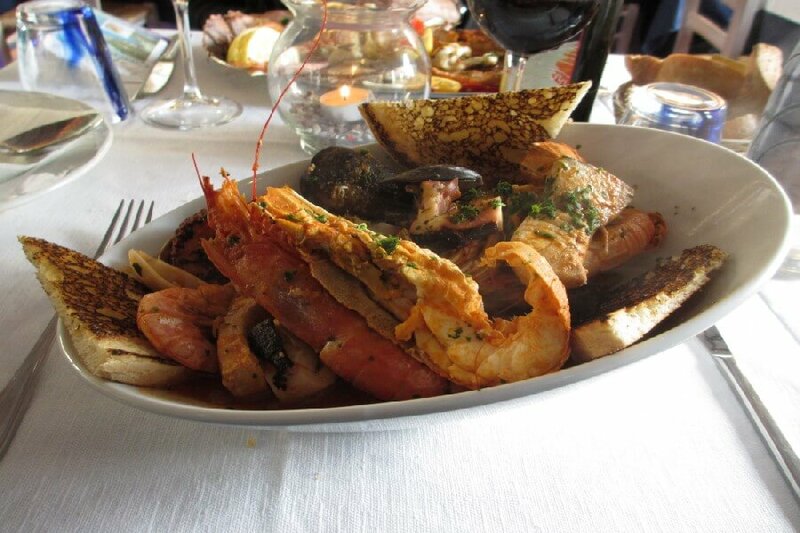 I wanted to eat local sea food and drink local wine. I decided I wanted to be in the middle of the “action” and stay in one of the villages so I could go for a walk down empty streets before breakfast. But, I also wanted to check out how the other half live and go to Portofino. 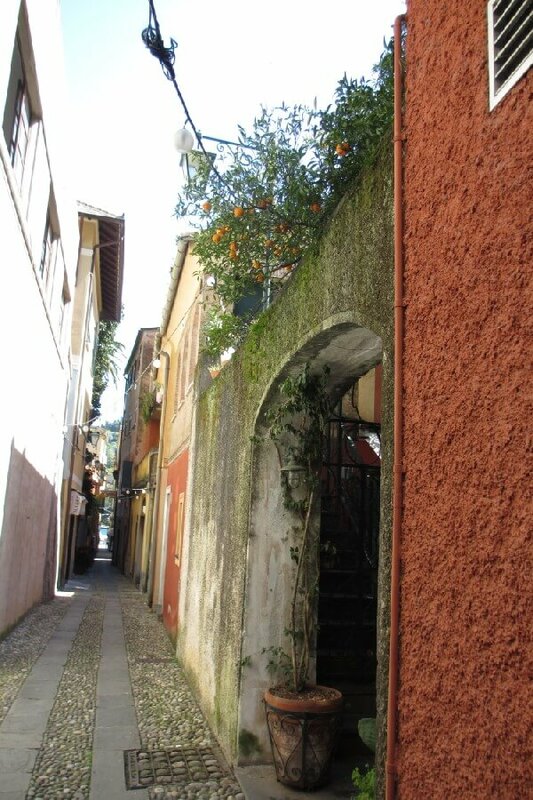 Can you tell if this back lane is in the Cinque Terre or Portofino? While I didn’t stay there, I suspect you could do the same in Portofino. But, and it’s a big but……. Portofino is undeniably beautiful. It is like staying in a glamorous resort or on a 1950s film set. I half expected to see Ava Gardner or Elizabeth Taylor coming out of the Hermes or Missoni boutiques. Set on a bay, its waters are calm and pretty. Visit Portofino for beaches perfect for swimming, and hotels with smart looking swimming pools. 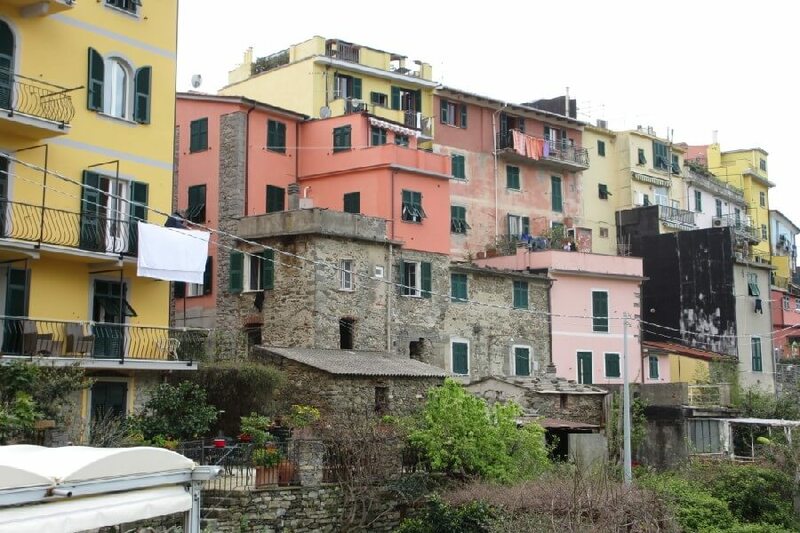 The Cinque Terre on the other hand is, well, more homely. The waiter in your restaurant is likely to be related to the owner. Washing will be hung out on balconies to dry. There are little markets, and black clad nonnas chatting in doorways. In Portofino, the only children I saw were on school excursions. In the Cinque Terre they played soccer, and rode their bikes. It was like staying in a village, because that’s what it actually is. The only real beach at the Cinque Terre is in Monterosso (and as an Australian, I wouldn’t say it’s a good one). The coast and the scenery is definitely more rugged. Vineyards hug the mountains. There is not a posh looking villa in sight. It also depends what you want to do. If you are a serious walker and want to hike, then yes, definitely base yourself in the Cinque Terre. For some people, that’s the whole point of the Cinque Terre. If you want to lie by the pool and work on that tan or hit the shops, then maybe Portofino is more “you”. 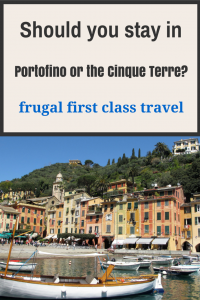 1 So, should you stay in Portofino or Cinque Terre? 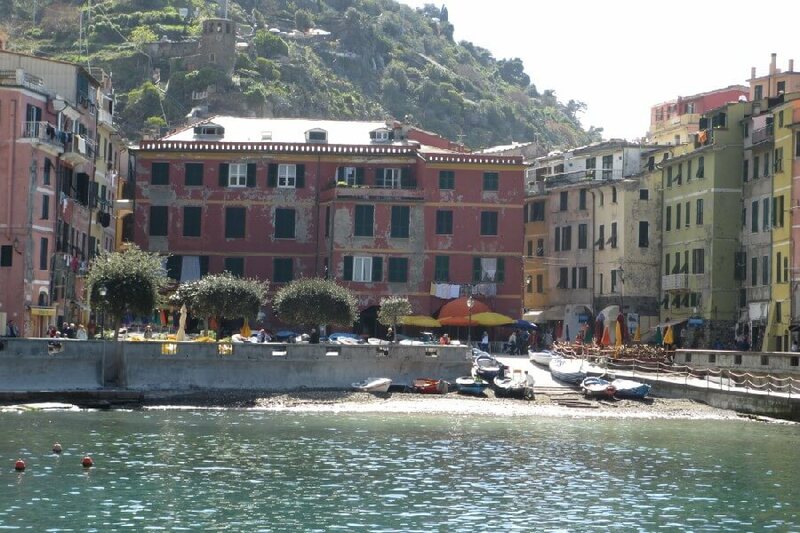 So, should you stay in Portofino or Cinque Terre? Personally I like both Portofino and Cinque Terre. 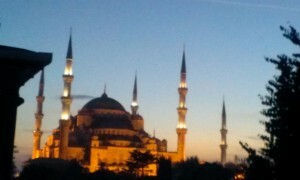 Each is a beautiful and charming destination in its own right. 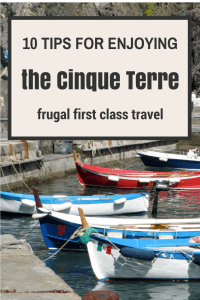 But as a frugal first class traveller the Cinque Terre is definitely more my style. Relaxed, informal and of course, just so much cheaper, I think you can’t go wrong staying in the Cinque Terre. Because frugal first class travellers know how important it is to have an occasional splurge, staying in the Cinque Terre for most of your stay, then spending one night in Portofino would make a lovely splurge experience. (If you are heading on further south, do it in reverse, and go from Portofino to Cinque Terre). Travelling by train from the Cinque Terre to Portofino, there seem to be plenty of other pretty towns where you could base yourself. 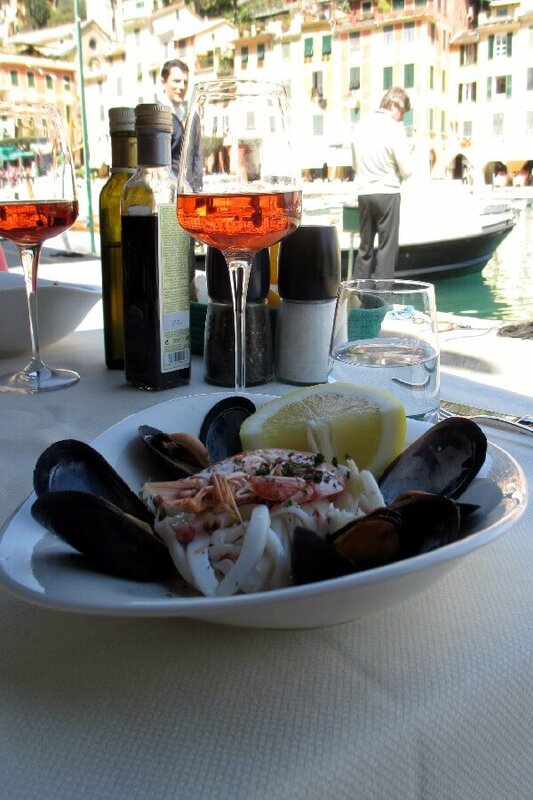 If neither the Cinque Terre nor staying in Portofino are your style, do some research and see what may suit you better. If you’ve been to both the Cinque Terre and Portofino, which do you prefer? Is there anywhere else along the coast that ticks the boxes for you? Compare Cinque Terre hotels now! If you are visiting the Cinque Terre for longer than 3 days, I prefer to stay in Santa Margherita Ligure. 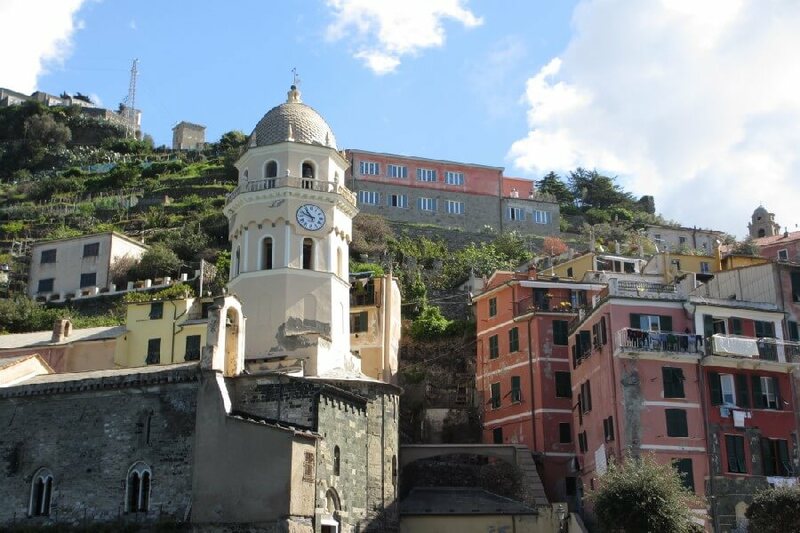 It’s easy to get to the Cinque terre villages from here and visiting other towns in the area is also easy. You can walk into Portofino, take the boat to San Fruttuosa and Camogli and train to Chiavari and Sestri Levante. I’ve also stayed in an old abbey in Moneglia which was wonderful. Such a great part of Italy! What a fantastic article. It’s true, you can have extremely similar experiences in both places but man oh man, Portofino knows its own reputation and runs with it. It’s shocking how much more costly it is. 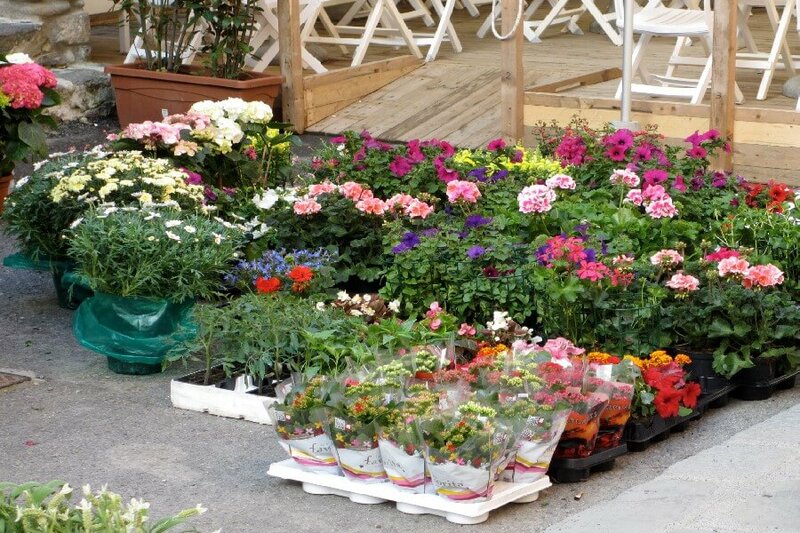 The fresh flowers are more abundant in Portofino, but the genuine Italian experience is what CT is truly about. Well stated, Frugalista. I’ve been 16 countries so far and Liguria region is one of the best areas i have ever seen. Have fun! I saw that Cinque Terre is going to start limiting the number of tourists that can visit. Your article brings back memories. I remember eating with friends in the place down by the water in Portofino and I recognized it immediately in the photos. How about Rapallo? That’s where I used to go- train connections to Cinque Terre and a short ferry ride to Portofino, not to mention charming in its own right. I haven’t been to Rapallo although I did pass through it on the train on my way to the CT. Another place to add to my list the next time I go to Liguria! I will be going to Milan next month for only a few days and will be staying 1 night in Lake Como. So I only have 1 day to take a day trip tour from Milan. Can’t decide between Portofino or Cinque Terre. Which one is more worth it for 1 day trip tour? Definitely Portofino. It’s closer, so you can spend more time there, and while there is far more to see in the Cinque Terre I think you will spend most of your time either waiting for or on trains. I would basically do the trip I did. Get off the train at SML, walk to Portofino if the weather is nice. Enjoy some lunch and a wander around, then ferry it back to SML. If you have time have a little explore in SML – it also looks lovely. Save the Cinque Terre for a time when you can spend long enough to enjoy it properly. HI! Please help! We will be in Italy from 9/6-9/14, with a wedding in Pienza from 9/11-9/13. 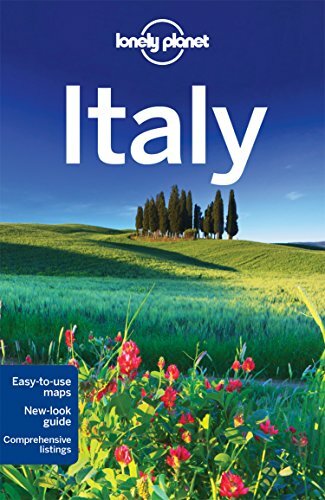 We plan on flying into Milan and going to Lake Como for a few days, then down to Cinque Terre and Portofino for a few days. What do you recommend is the best way to plan this out? How many nights is sufficient in each? Given how little time we have, what’s the best way to do it? THANKS!!!! Sounds like a lovely trip Michelle. I agree with your order of going to Lake Como first, then Cinque Terre/Portofino. Firstly for Lake Como and the Cinque Terre I would use the train rather than a car to get around. Cars are not needed in either place and the trains to and from are very good. Assuming your flight arrives into Milan at a sensible hour, I would head straight to Lake Como from the airport – there is a bus from Milan Malpensa direct to the Milan railway station, then the train to Lake Como is only about an hour (depending on where you stay). I would spend two nights at Lake Como, then head down to Cinque Terre/Portofino by train for three nights. How you divide your time there depends on your interests and your budget. Then to get to your wedding you could either take the train to Florence to get to Pienza (you could pick up a car in Florence if you need a car for the wedding) or see if you can pick up a car in somewhere like La Spezia or Sestri Levante which are bigger towns not far from the Cinque Terre if you want to drive directly to Pienza. If you get a car you have the option of returning it in Florence, then catching the train back to Milan, or driving it back to the airport at Milan. 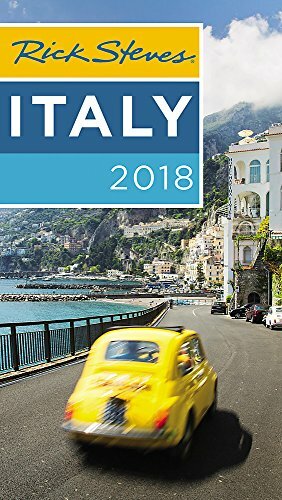 We are going to lake Como for 7 nights then Portafino for 10 nights is there enough to do there or should we go to cinque a Terre for maybe 3 or 4 nights and Portafino for 6 or 7 nights.? Hi Valerie, what an envious decision you have to make! I would go to the Cinque Terre for 4 nights and then go to Portofino. 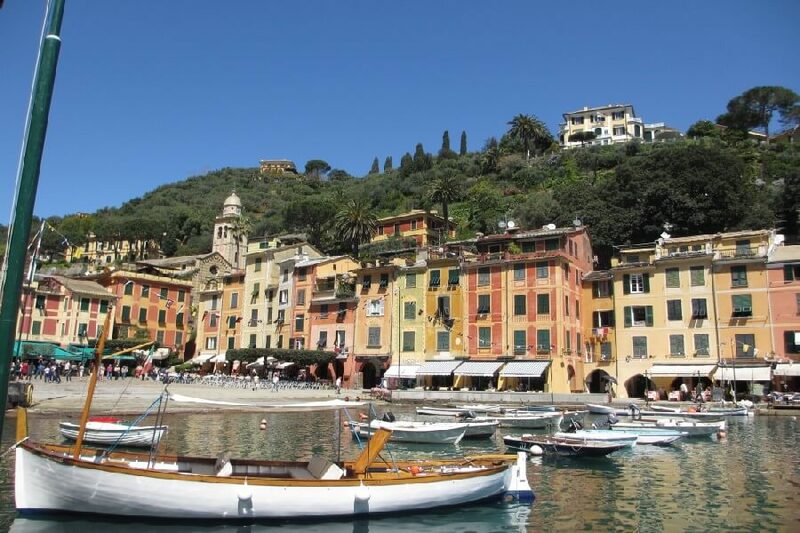 Portofino is quite small, so think of it as a resort rather than a touring destination. There are towns near Portofino you can visit and ferry trips you can take from nearby Santa Margherita Liguria as well as Portofino itself. I had a guest stay with us recently who actually compared us to Cinque Terre in his review (received only this week) I thought this might be of interest to some of you so I thought I would share part of it with you…. “Pigna is the perfect base for exploring the nearby villages, the Riviera (Italian & French), the mountains and of course Monaco. Pigna, Apricale and Dolceacqua are some of the most interesting, authentic medieval villages we have ever seen. On a par, if not better than what you will find in Cinque Terre. 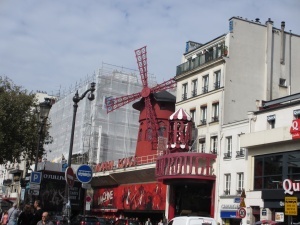 And without the hordes of tourists! 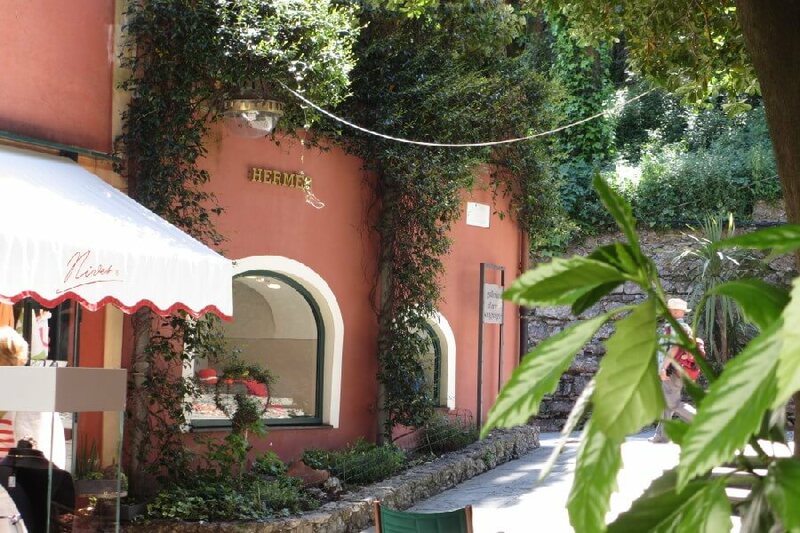 We are already planning a return trip to Pigna to stay at Rachels and will definitely be recommending this little gem to all our friends. 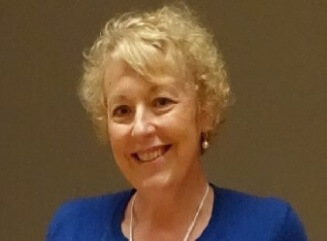 Thank you, Rachel for a wonderful stay and a great Italian experience”. If you are looking for an alternative or would like to extend your stay further whilst in the region why not take a look at what we have to offer.